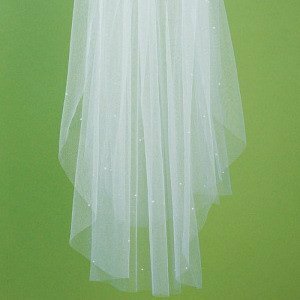 This classic cut edge veil has an updated twist - we have scattered pearls throughout the veil to complement the pearls in the rest of your wedding attire. 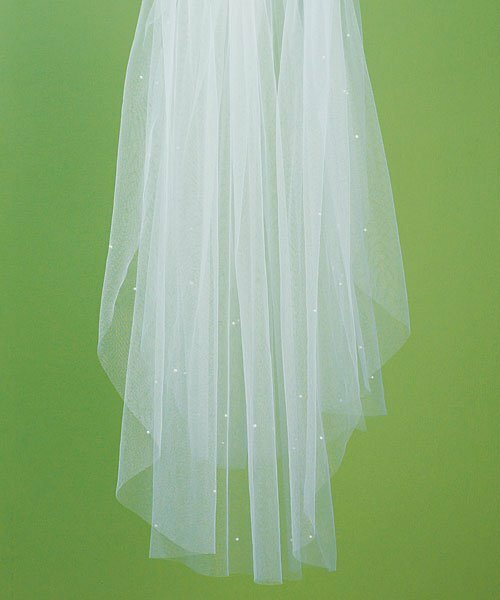 The 2-tier soft tulle veil is available in your choice of white or ivory. Veil measures 72" wide, 32" in the front, and 39" long in the back.